Steele was first elected to the organization’s board in 2012 and won re-election in November, securing a full six-year term with 23.5 percent of votes, second only to fellow Democrat Commissioner Debra Shore. Steele is currently the only chemist serving on MWRD’s board, having worked previously as a water chemist at the Jardine Water Purification Plant and a water sampler and lab technician for MWRD. Since her election to MWRD’s board in 2012, Steele has served as chair of several committees, including Budget and Employment, Information Technology and Monitoring/Research. A self-described environmentalist, Steele has also chaired the organization’s Employees Credit Union Board of Directors. 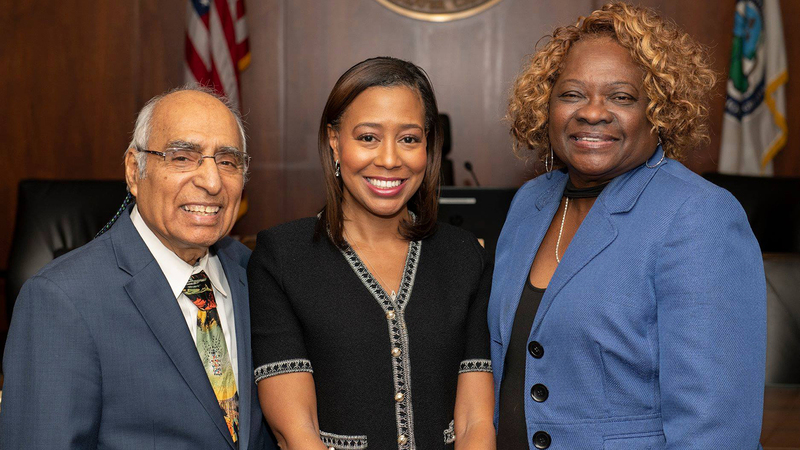 Steele’s election as president comes a month after MWRD welcomed three new commissioners – Kimberly Du Buclet, Cameron Davis and Marcelino Garcia – who were elected in November. The organization also appointed longtime staffer Brian Perkovich as its new executive director in December.